Still playing a little catch up... when I last left you, we had gotten through December 2, 2016. Here are the pictures that I've shared on Instagram as well as the captions (minus the emojis) that I've shared from December 5, 2016 to January 13, 2017. 12.5.16 // We made one last PO run this morning for work and now this event cycle is officially over. Tomorrow... we mail Christmas cards! 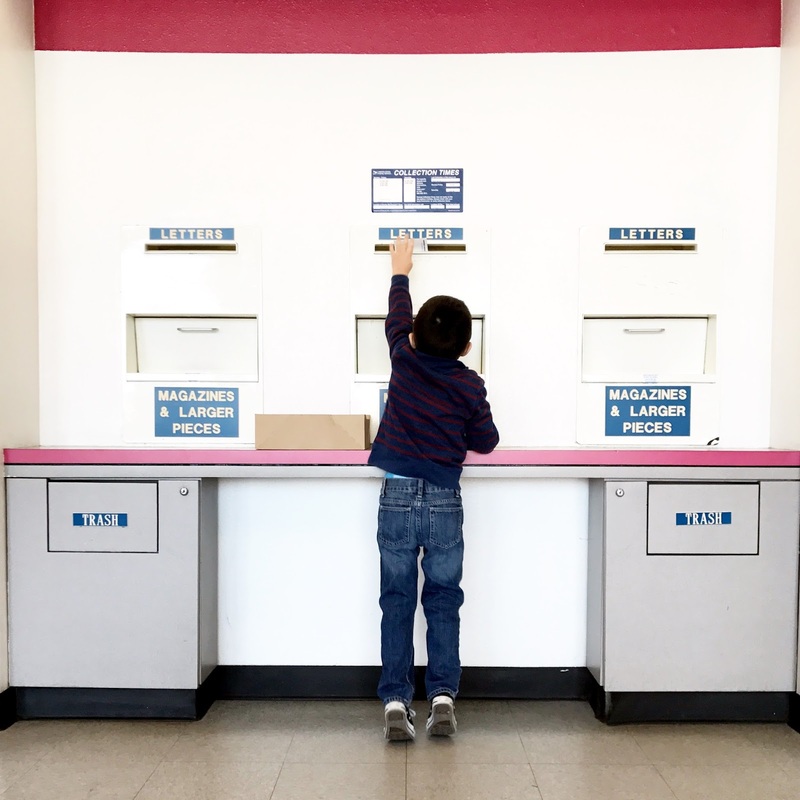 12.7.16 // We stopped at the post office to mail a few Christmas cards (apparently I'm doing them in shifts because I can't find enough time to squeeze them all in!) and he ended up getting a peek in the back room! 12.9.16 // They're out a heck of a lot later than I had originally planned but all our Christmas cards are finally on their way to our friends and family! 12.19.16 // Monday morning mail run! 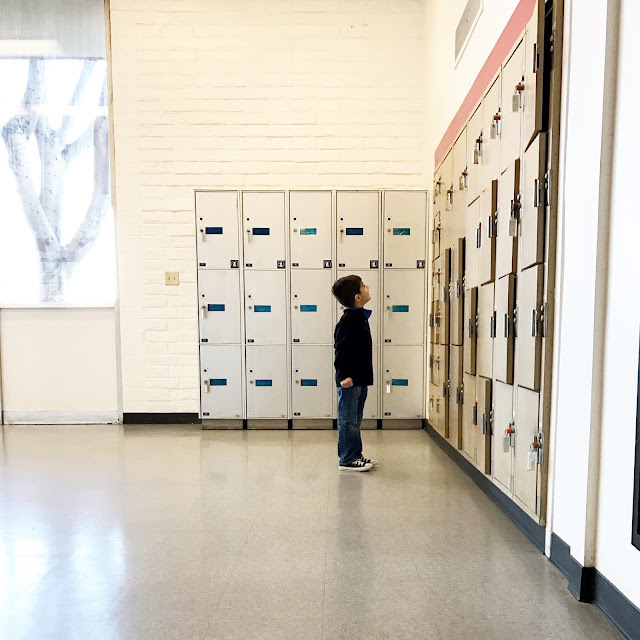 Another day, same kid looking for packages in other people's mail boxes. 12.21.16 // Last minute package mailing to Grandpa and Grandma! I told him to grab the box so we could put it in the slot to mail it... He interpreted it as "take all the boxes off the shelf". 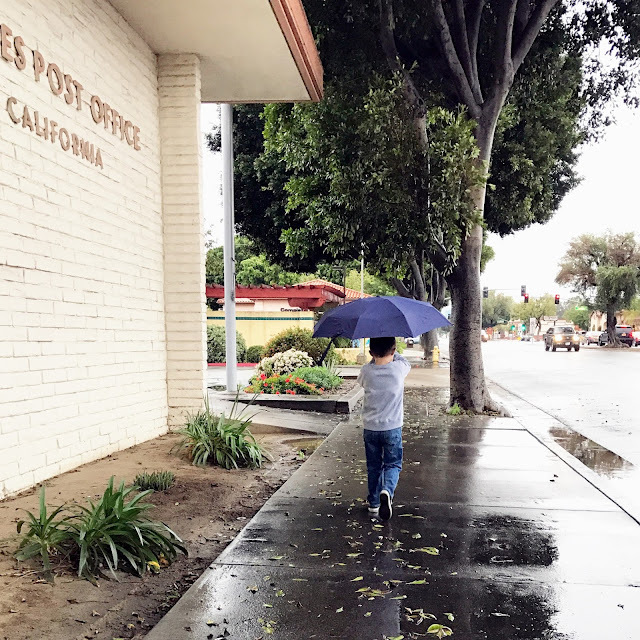 12.22.16 // One final post office run before Christmas! 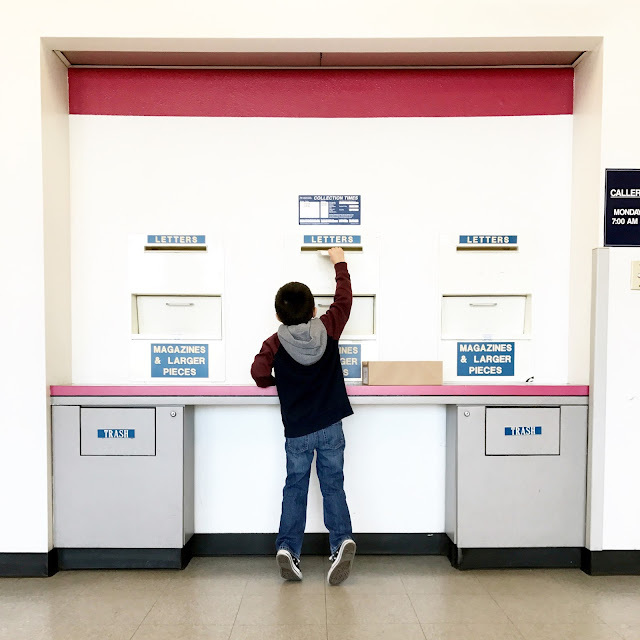 1.2.17 // First post office trip of the new year! I asked him where our PO Box was. He's looking for it. 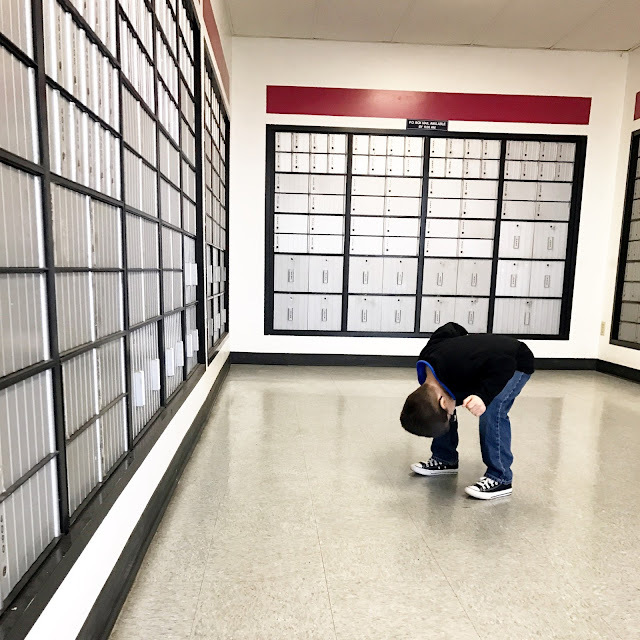 1.4.17 // He's officially tall enough to mail things by himself. 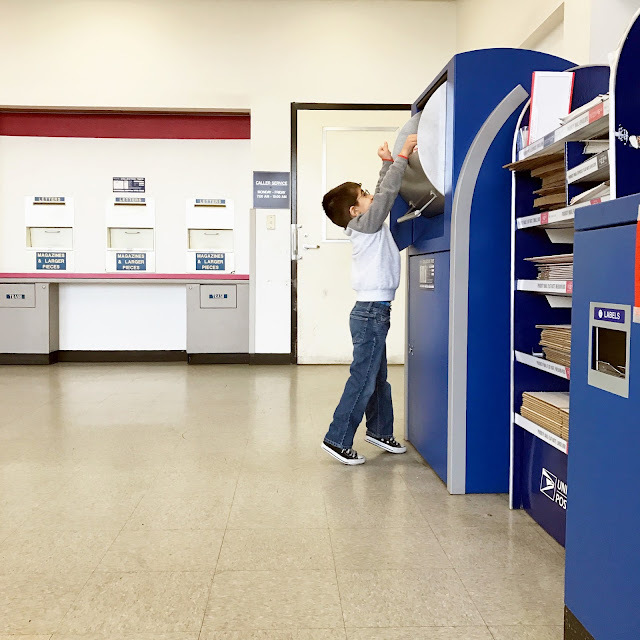 Today I stood back and watched as he grabbed envelopes one by one and pushed them fully through the slot by himself. The only time I needed to help? When he thought he could shove 20 through at once and they fell all over the counter. 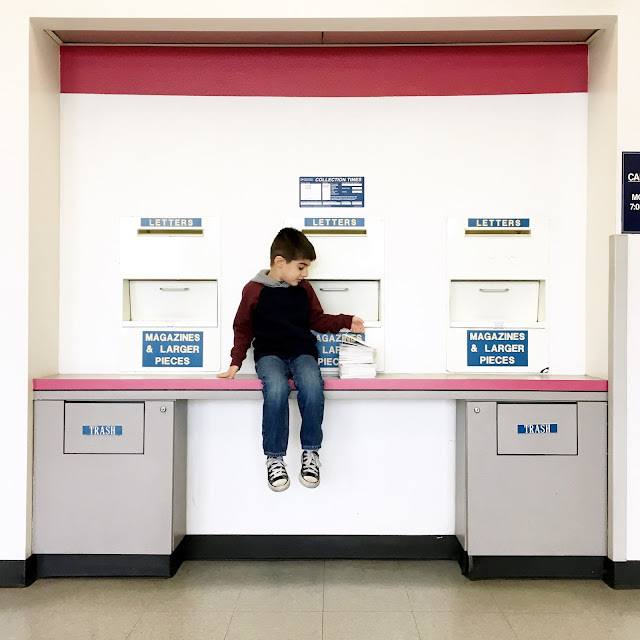 1.5.17 // When there's a mail box outside your doctor's appointment (just a check up! ), you have to stop for a photo. 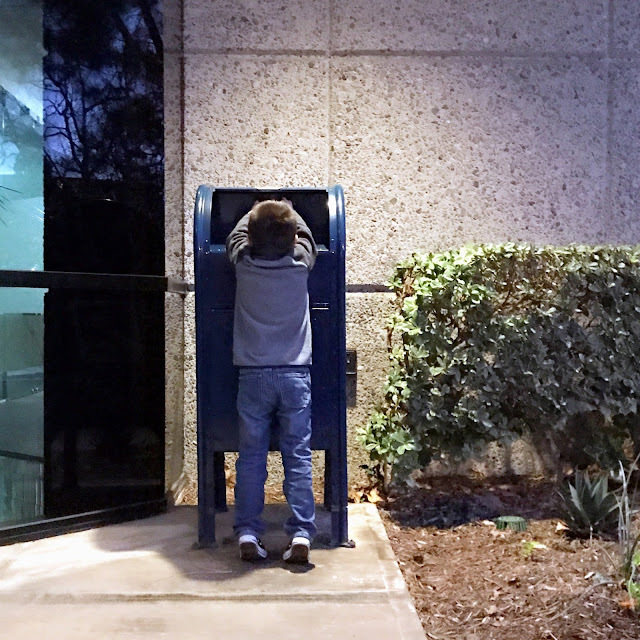 ps -- I think this may be his first time seeing a REAL mail box! 1.6.17 // 🎶 work, work, work, work, work 🎶 Only a few more hours until the weekend! TGIF! 1.9.17 // "Neither snow nor rain nor heat nor gloom of night stays these couriers from the swift completion of their appointed rounds." Same with this little mail man. A little rain won't stop him from getting his job done! 1.13.17 // Well, I did it. And I have extreme returners remorse right now, but I only kept the dolman and the jeans from my @stitchfix box. Thank you all for your input! I REALLY should have kept it all, but just couldn't justify the cost this month. Good news is, I've already scheduled another one!! And it may come with a fun surprise. Look out for details in the coming weeks! Another super cute batch. I think the umbrella one might just be my favorite of this group. 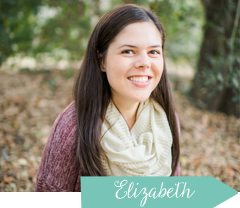 I hope y'all have an amazing week Liz! 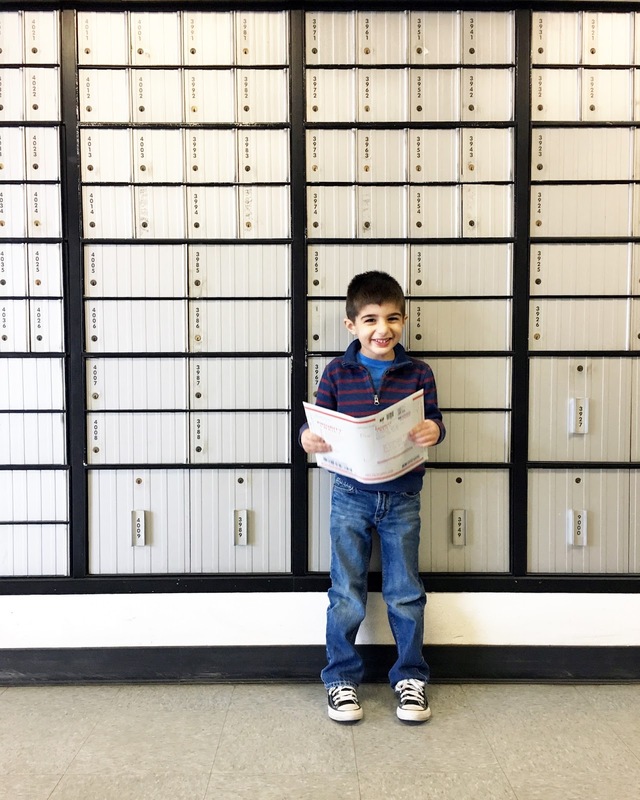 So cute that he found his first real mailbox! Great photos! If you ever switched jobs and didn't have the need to visit the PO, I think Mason would be heartbroken. 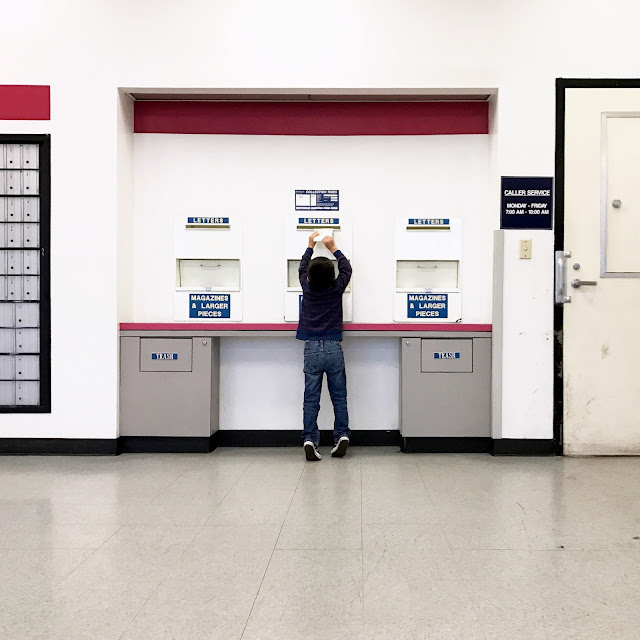 I love, love, love the ones where he's reaching to put the mail in the mail slot. I don't know why, but those are my favorite! It would be so fun to see a comparison shot of your first PO pic to your most recent... Just to see how much Mason has grown and changed! 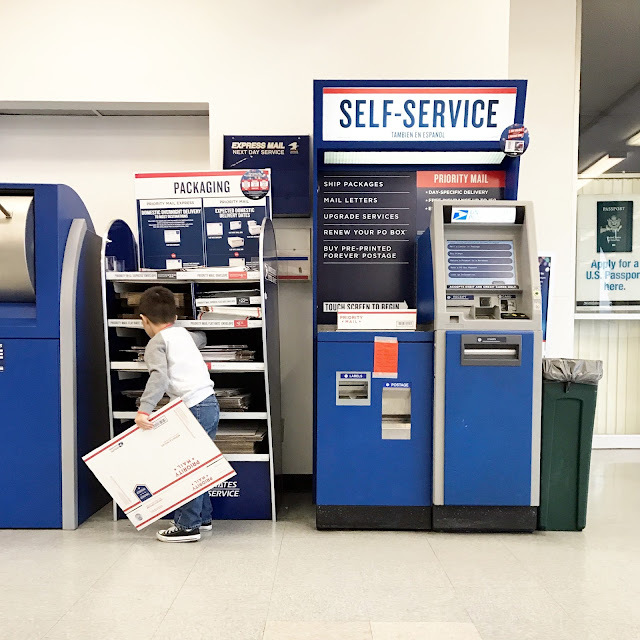 I love both of your affinity for the post office! It will be so fun to compare all these photos as he grows! Mason and his love for the post office makes me so happy! I just love the different photos you get and his happiness and curiosity in them. He looks so tall! I love these photos! I hope he becomes a mailman some day! 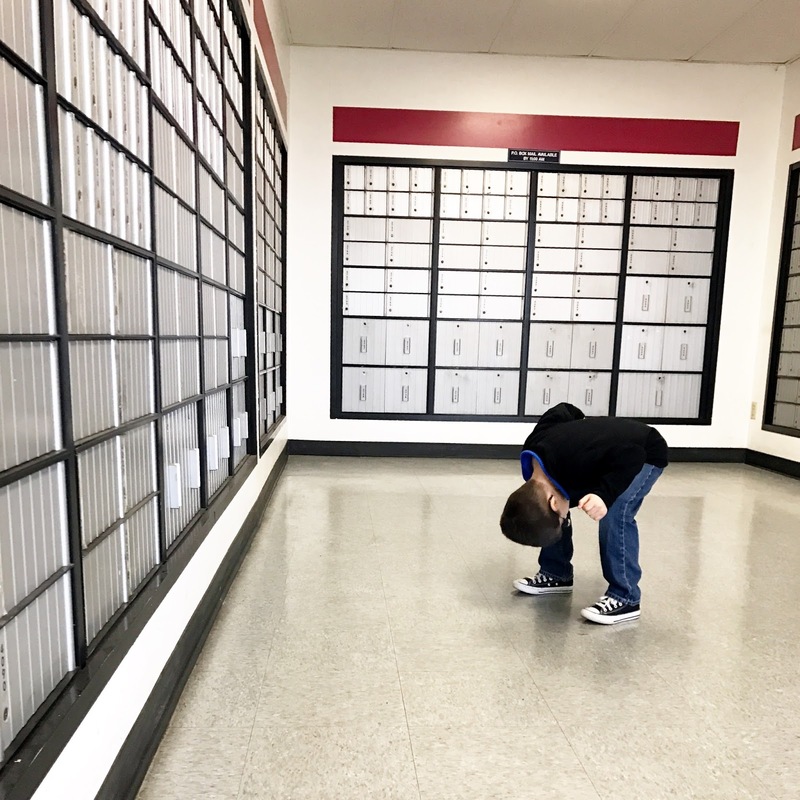 I love where he's looking for the PO Box :) I agree with Becky- he looks so tall in these! [The Guys Behind the Blog] March. [Guest Posting] Spectrum Inspired Instagram.